This sweet collection of containers are pretty and functional. 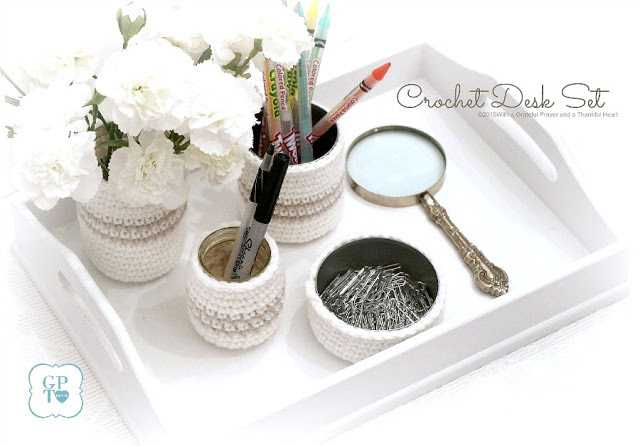 A crocheted desk set is just right to corral items and yet keep them in easy reach. Jars and cans are wrapped in crocheted cozy covers in whatever color you like. Make them in various sizes to hold her office supplies. 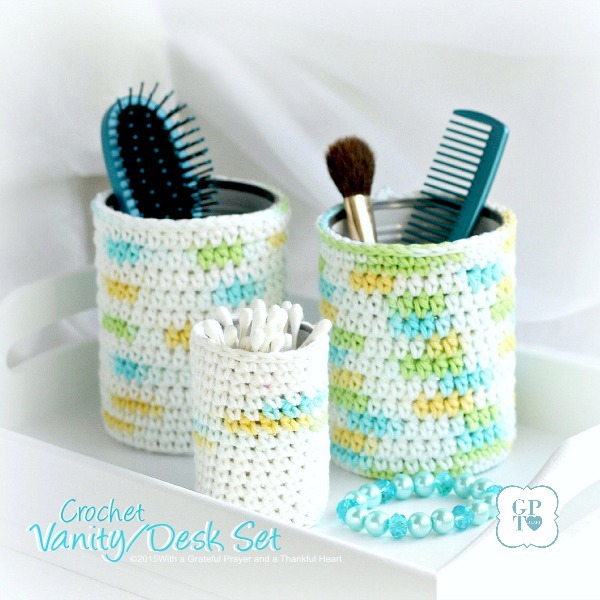 Click Desk or Vanity Crochet Covers for Jars and Cans for how-to. Once Mom’s desk is organized she just might want to tidy up her makeup vanity area. These containers work well for holding brushes and all of her beauty products. Match her room or crochet in her favorite color. From the same post as above: Click HERE for detailed instructions. 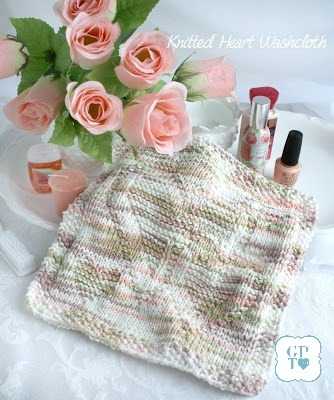 Pamper Mom with thick, large spa-like wash cloths, Knitting ideas found: Pretty Knitted Wash Cloths. After knitting this heart motif cloth, tuck in a pretty shade of nail polish, lip stick or her favorite fragrance. Click HERE for link to pattern. 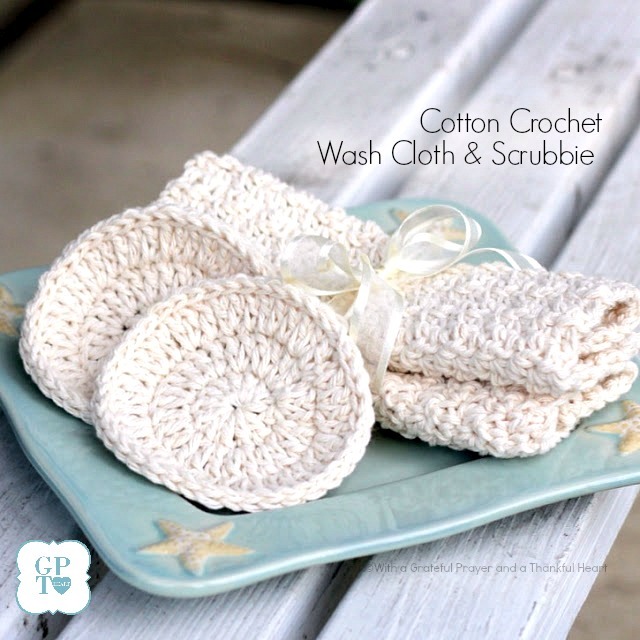 If you prefer crochet over knitting, these facial scrubbies and wash clothes are for you. Click HERE for patterns. To soothe and moisturize apply lovely scented lotion. 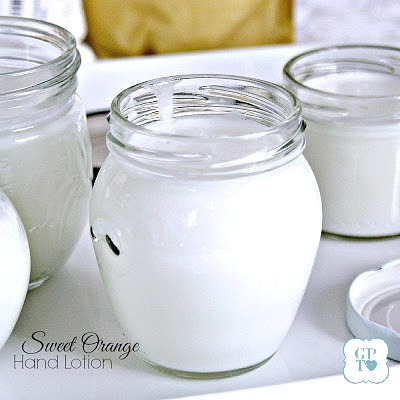 Make a batch of creamy Sweet Orange Hand Lotion for Mom’s hard-working hands. How-to HERE. For convenience there are Amazon links at the bottom of this post for the ingredients to make the lotion. 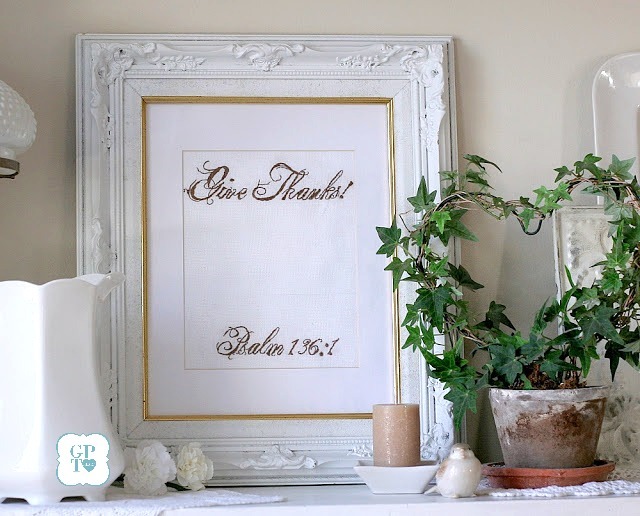 Let Mom know you are thankful for her and the love she pours into the lives of her family with a write-on wipe-off framed embroidery. A perfect place to list those blessings. Posted HERE. 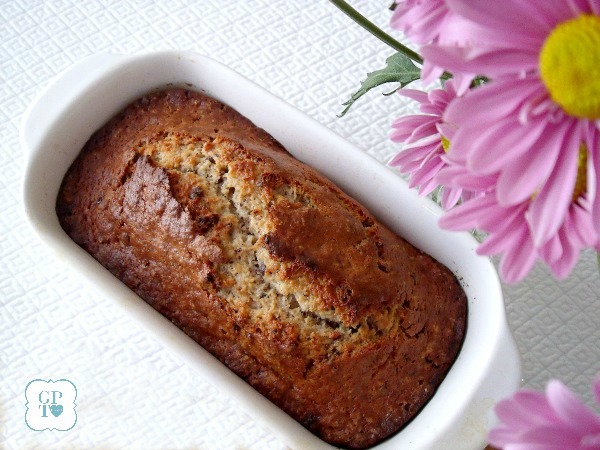 If crafting isn’t your thing, bake Mom a crazy good loaf of chocolate chunk banana bread. If you’re really nice she just might share a slice with you. Click HERE for the recipe. And if you have totally procrastinated, you can delight Mom with deliciously sweet and tart Lemon Curd. 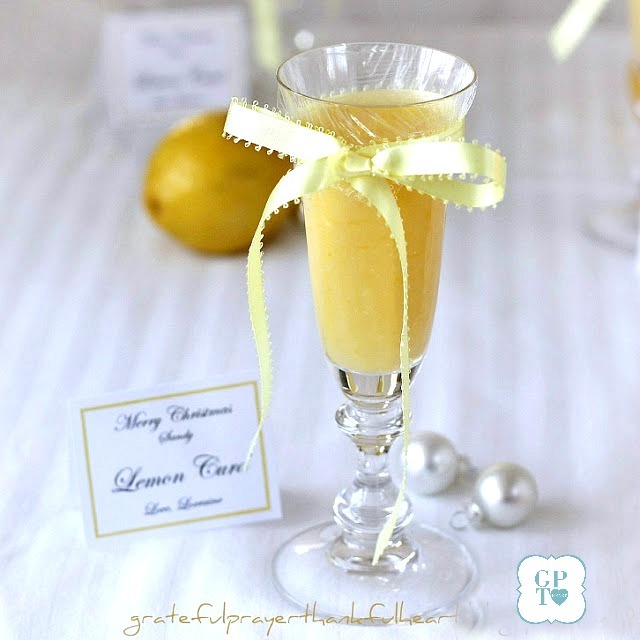 It is super easy in the microwave and looks so pretty in a fancy stemmed glass. Or pour into a glass jar, add a cute label and ribbon bow. Through her pucker she will say that YOU are her favorite child 🙂 Click HERE for recipe. Wonderful ideas! 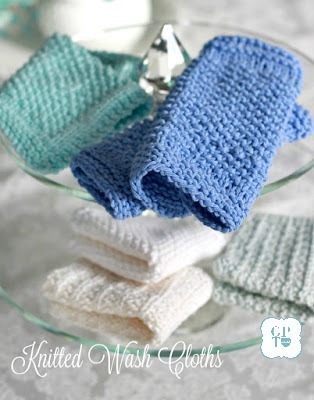 I love the crocheted washcloths. I would love all of the above! I like the smell of banana bread baking. Have a wonderful day.